- Product upgraded to eliminate buzzing sound. Four built-in USB ports enhanced with fast-charging technologies supply a charge of up to 5.2 amps. 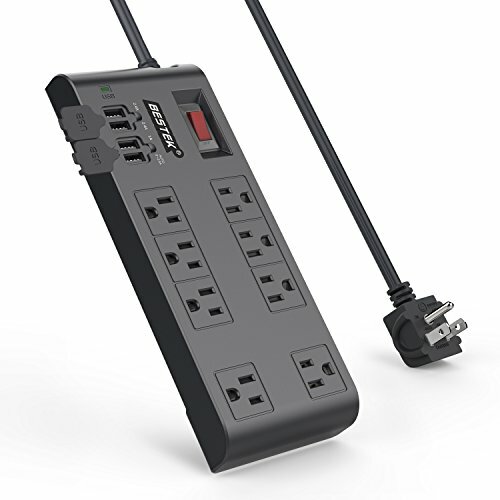 6-feet heavy-duty power cord allows you to keep the surge protector anywhere. Two widely spaced AC outlets accommodate large power adapters or charges. Hanging slots allow you to hang it on the wall. Rubber feet keep it from sliding around on the floor.